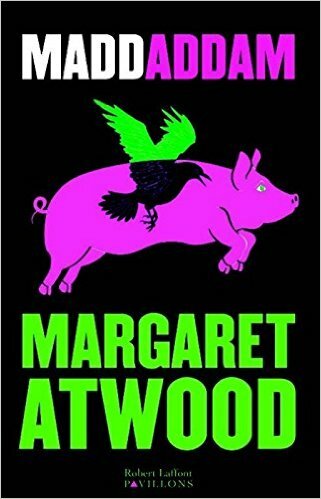 This is the third and final novel in the "Oryx and Crake" Trilogy and I am very sad that it is finished. The bonus is that coming to it late means I've been able to read all three novels consecutively and not wait a decade for this last volume. All the main characters from the first two books are brought together as the last survivors of the human race along with the "Crakers", the humanoids bred to replace humans. To survive they must locate and destroy two killers, "Painballers' who are loose and will destroy the survivors if they have the chance. The back story of this novel is that of "Zeb" who comes form a very dysfunctional religious family and has had to survive for many years with the help of his brother 'Adam'. This back story, with the location of the 'Painballers" completes the story.There is more humour in this novel than the previous two but the quality of the writing is still exceptional The ending is uplifting considering the circumstances. Read the three novels together, they are all brilliant.